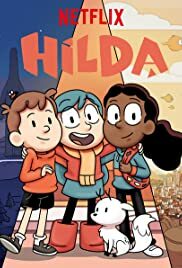 Hilda is a Netflix original. It launched on September 21st, 2018. It’s about a blue-haired, British girl who lives in the middle of no-where, with magical creatures, such as small elves, giants, and trolls. Well her house ended up getting stepped on by a giant, so she and her mom had to move to the city known as Trollberg, where now she has to make friends with actual humans and learns to live in the city. Hilda is an amazing show. The targeted audience is young children, but as an almost 18-year-old, I can say it’s in fact, for everyone. I would highly recommend this series to everyone who likes strange things and adventures. Should seniors be allowed to decorate their graduation caps? Do you have Holiday Stress? Double Stuff OREO Waffle Cones at SONIC! “La reine est morte, vive la reine” The Queen is dead, Long live the Queen.